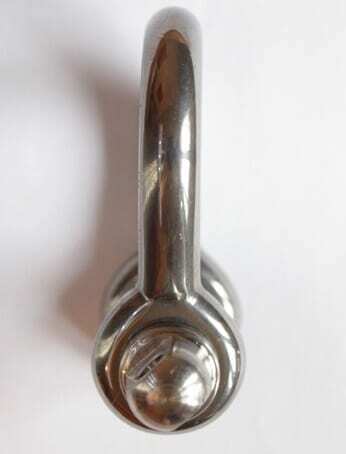 We stock a wide range of stainless steel bow shackles here at Rope Services Direct including this stainless steel bow shackle screw pin variety. We are able to supply these shackles in both tested and un-tested versions. The untested shackles should not be used for lifting purposes but the tested shackles are safe to use for lifting within their working load limit. Please state which type you require when ordering. These particular stainless steel bow shackles come with a typical screw pin that most standard shackles have. They screw in and out with ease to enable the fitting / connection of other products, such as a thimble end wire rope. When you have tightened the screw pin by hand it is advisable to further turn the pin with a pair of pliers to ensure it is perfectly tight. Produced from high quality materials these shackles have all the usual properties of stainless steel; high resistance, robust and have a long working life. We stock many other types of fittings in stainless steel too. Alongside these shackles we can also manufacture and supply stainless steel rope, webbing slings & fibre ropes to suit your requirements including special assemblies. Many types of lifting gear can also be supplied at great value prices; our range of lifting gear includes lever hoists, chain blocks, wire rope pullers and beam attachments. Getting in touch with the team at Rope Services Direct couldn’t be easier! You can either call us direct on 01384 78004 or drop us an email via the contact page or rapid enquiry form. 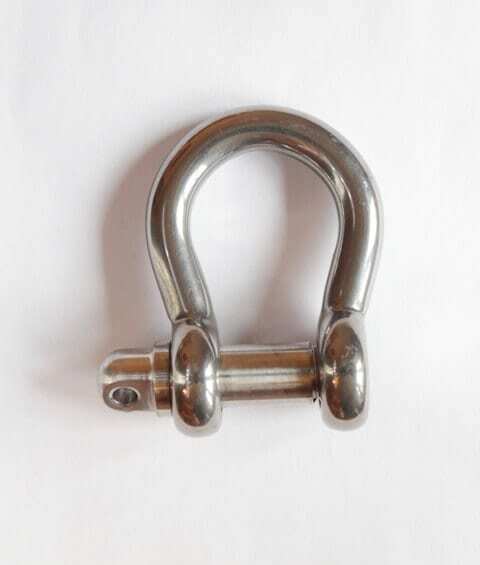 Stainless Steel Bow Shackle Screw Pin Overall rating: 5 out of 5 based on 6 reviews.